DYNAMIC FORCES® - ABSOLUTE BATMAN: HUSH OVERSIZED HARDCOVER RE-MARKED EDITION! - SIGNED AND RE-MARKED WITH HAND DRAWN SKETCHES BY JIM LEE! 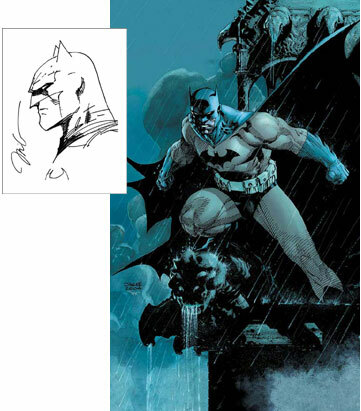 Jim Lee has agreed to give fans original art on every high-end edition of Batman: Absolute Hush HC! 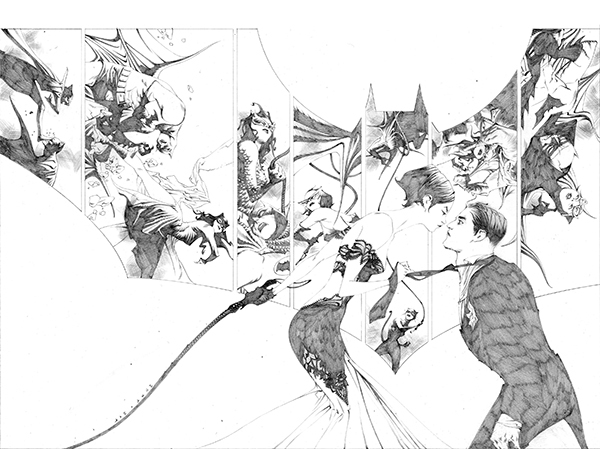 Jim Lee is arguably the most popular artists working in comics today. His artwork can go for thousands of dollars. DF and worked out an arrangement with Jim Lee to do HAND DRAWN Batman sketches inside each and every Batman: Absolute Hush Hard Cover! This is a Marquee item. Each one will be a hand drawn ORIGINAL PIECE OF ART! We don't know that we can ever get Jim to do this again! Order now as only 250 of these editions will be ever made! The complete 12-part saga written by Jeph Loeb (Superman/Batman Smallville) with art by fan-favorites Jim Lee & Scott Williams (Superman Uncanny X-Men) collected together for the first time in the oversized Absolute format! This slipcased edition includes Batman #608-619 as well as the the 2-page origin of Batman (originally seen only on dccomics.com) and the special story from Wizard: The Comics Magazine. The year-long Hush - an epic tale of friendship trust and betrayal that spans a lifetime - reinvigorated the Dark Knight pitting him against the deadliest members of his Rogue's Gallery and introducing his newest foe! This Absolute edition includes an all-new cover by Lee &Williams a Jim Lee Sketchbook and issue-by-issue commentary by the creative team! Best of all this DF version is Signed by AND features an original sketch by artist Jim Lee on each authenticated copy! BATMAN #40 SECOND PRINTING VARIANT! BATMAN SUPERMAN #13 FIRST PRINTING SIGNED BY GREG PAK!